Today was one of those mornings were I woke up early. The end of a dream, earbuds squelched, something. Having grown up in a large city, I love the industrial lights of morning. My love of big industrial things continues. Those early morning lights of something about to happen; things being made, and new ideas. It’s comforting, though what I see is now a condo parking lot. 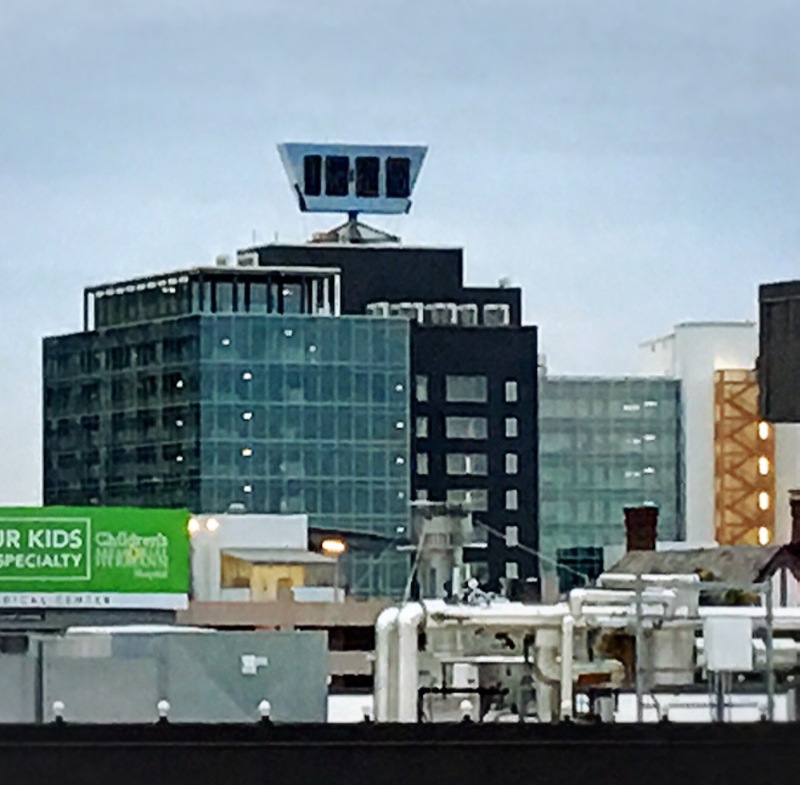 My husband remembers the mid century clock building pictured above from the 1980s when it was still working, it seems that it was kept as a kind of landmark when recently repurposed for condos. 7 AM and construction noises have started below on a beautification project that started just before the Super Bowl. Things are happening. People are working and it’s exciting.